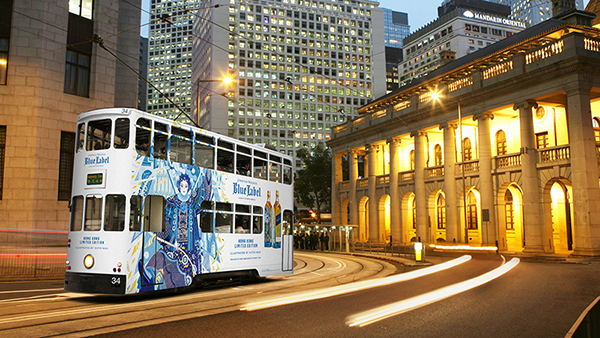 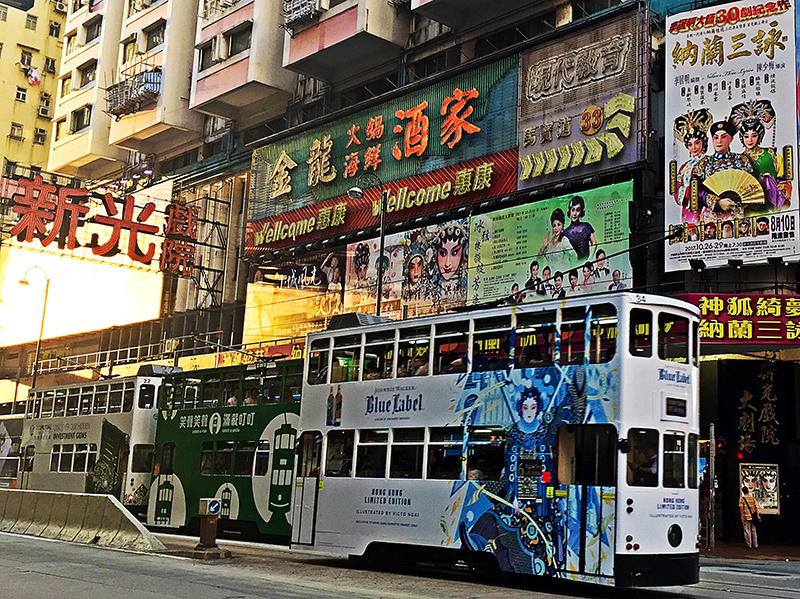 Here’s an exciting project commissioned by Johnnie Walker Blue Label. 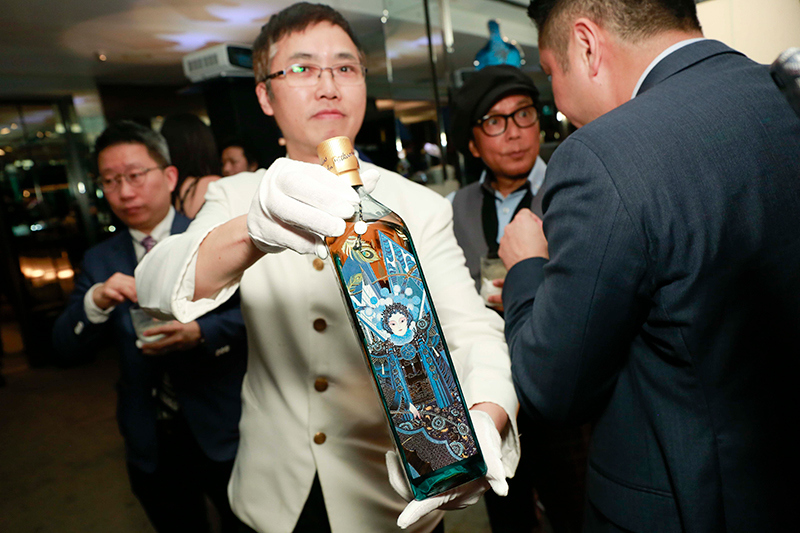 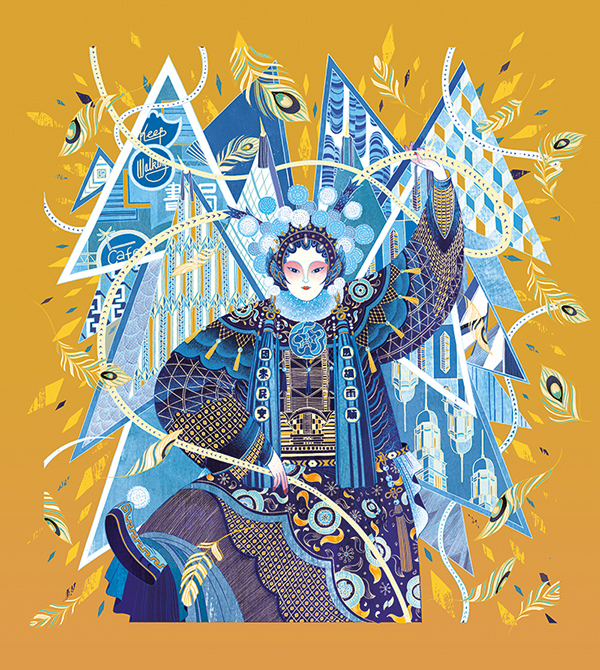 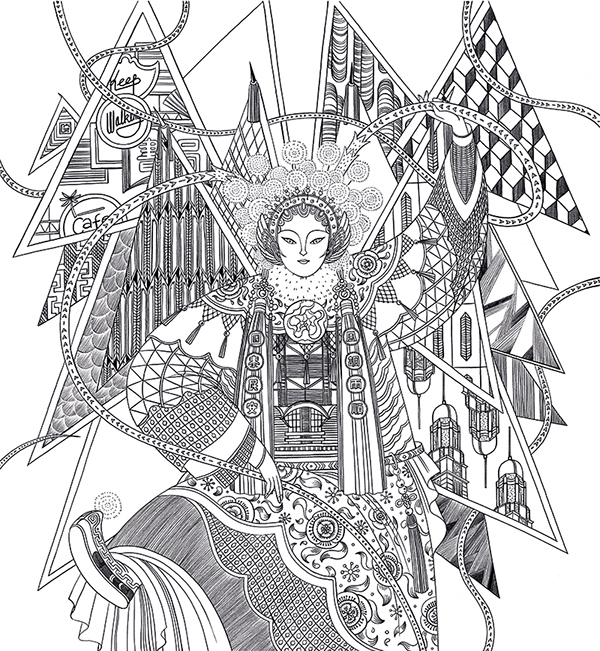 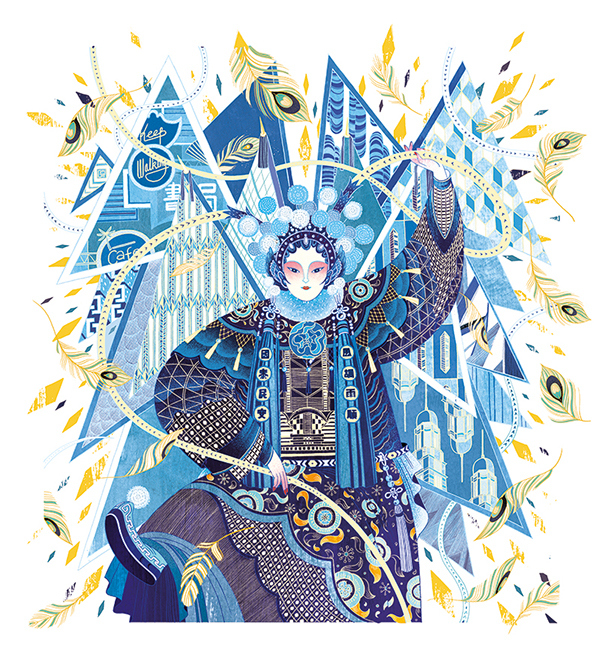 Available exclusively in Hong Kong from September 2017, the limited-edition 70cl bottles features a Cantonese Opera performer adorned with iconic Hong Kong symbols including neon lights, colonial architecture and skyscrapers, celebrating Hong Kong’s unique Eastern and Western influences through marrying the artistry and craftsmanship of the coveted blend and the illustration. 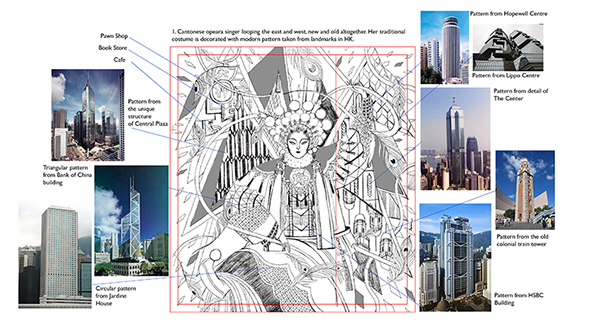 This project, which deals with a three-dimensional object, provided an interesting challenge the images needs to work well as a flat image but also as a three-plane tryptic, and elements needed to be well-placed and not awkwardly cut off around the edges when wrapped around the next plane. 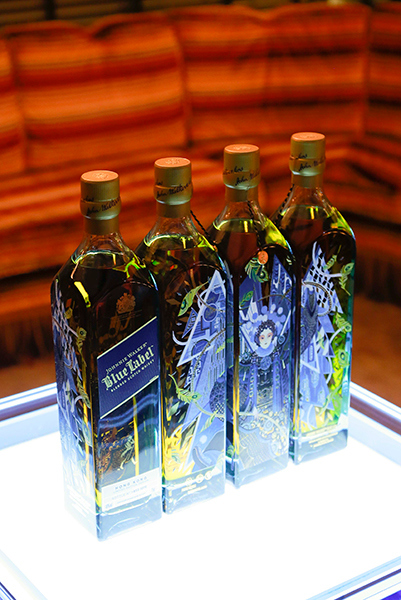 While the blue hues show off the natural golden color of the whiskey, we wanted the image to look good on its own too, so people will keep the empty bottles and display them as standalone art pieces. 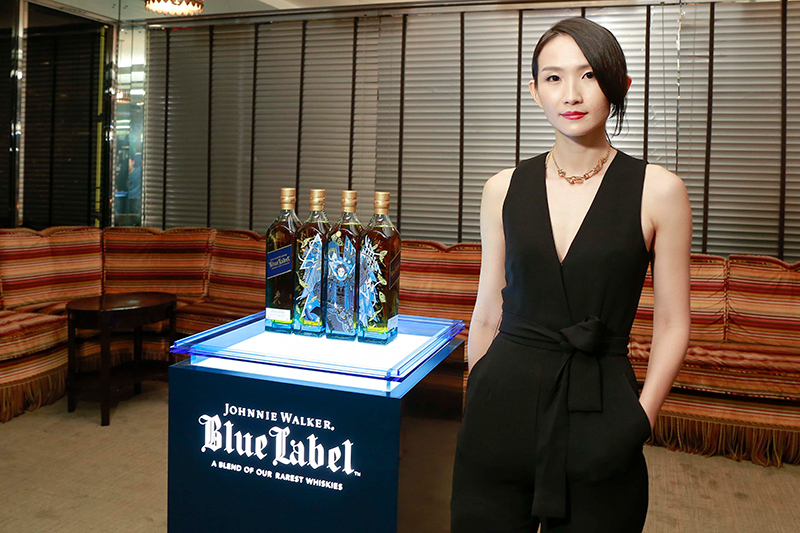 Here’s an exciting project commissioned by Johnnie Walker Blue Label. 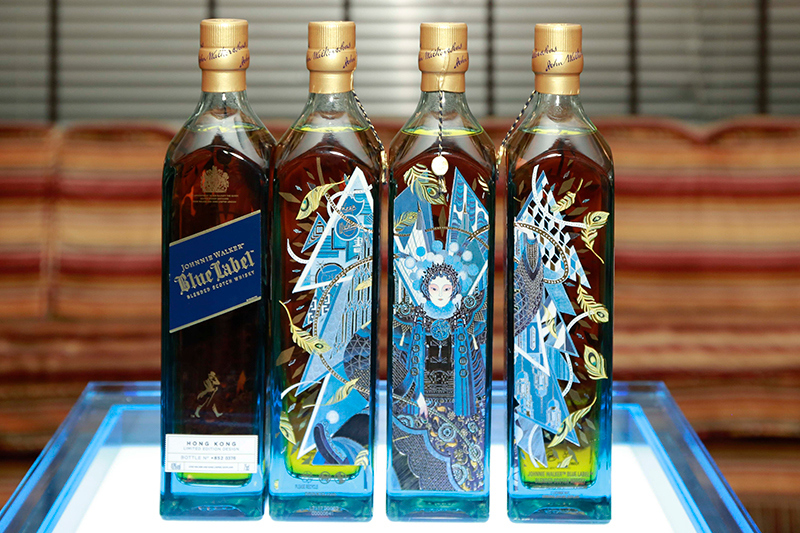 Available exclusively in Hong Kong from September 2017, the limited-edition 70cl bottles features a Cantonese Opera performer adorned with iconic Hong Kong symbols including neon lights, colonial architecture and skyscrapers, celebrating Hong Kong’s unique Eastern and Western influences through marrying the artistry and craftsmanship of the coveted blend and the illustration. 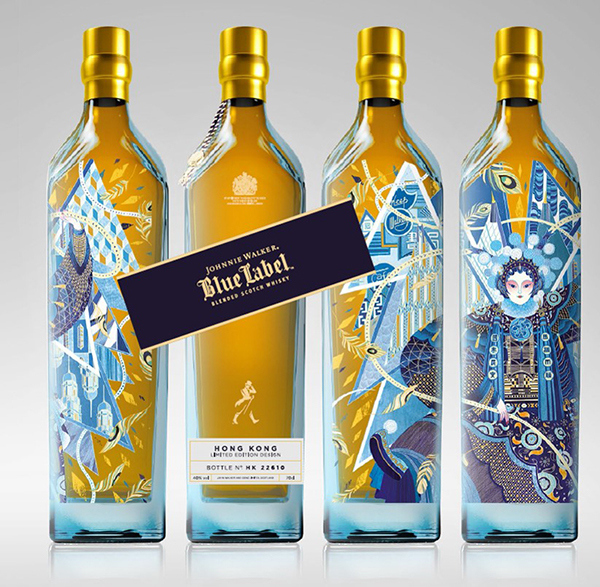 This project, which deals with a three-dimensional object, provided an interesting challenge the images needs to work well as a flat image but also as a three-plane tryptic, and elements needed to be well-placed and not awkwardly cut off around the edges when wrapped around the next plane. 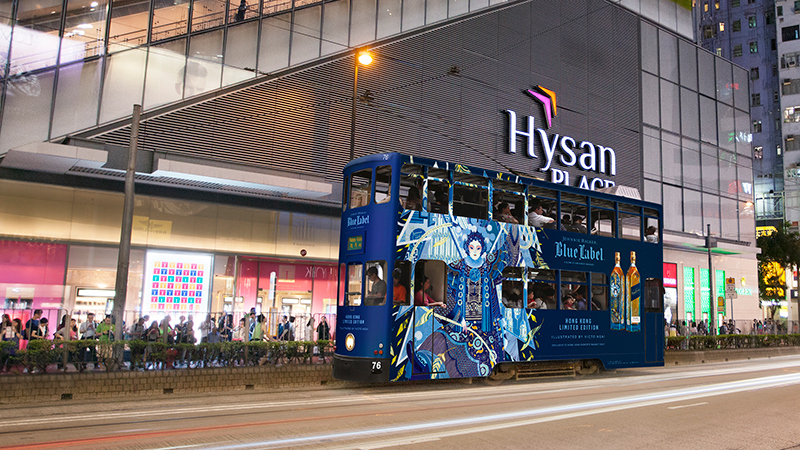 While the blue hues show off the natural golden color of the whiskey, we wanted the image to look good on its own too, so people will keep the empty bottles and display them as standalone art pieces.